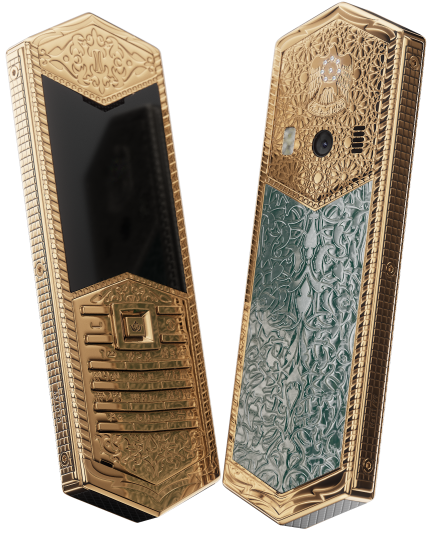 Sheikh Being inspired by the great personality of Sheikh Zayed bin Sultan Al Nahyan, about whom even today people talk like about a person who “made a desert turn green”, admiring his achievements that were done for the benefit of his home country, his educational and charity activities, Caviar created a design of a unique Tsar Phone dedicated to the sheikh. 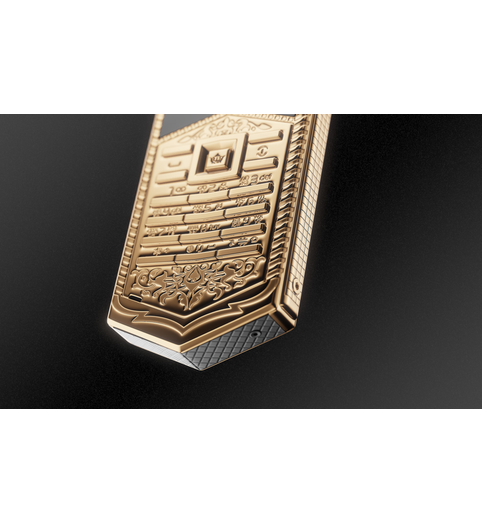 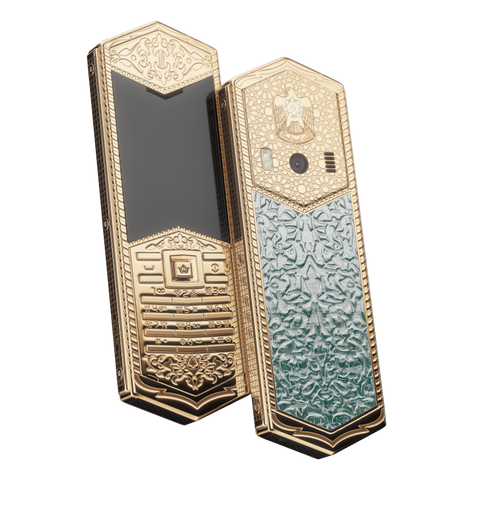 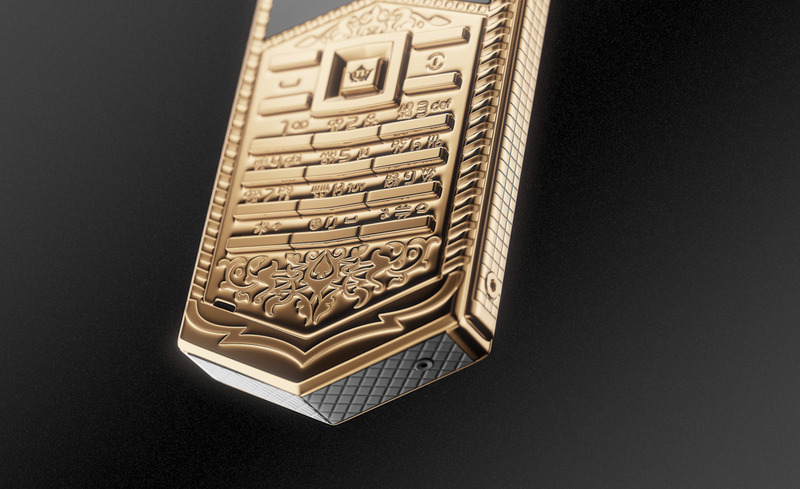 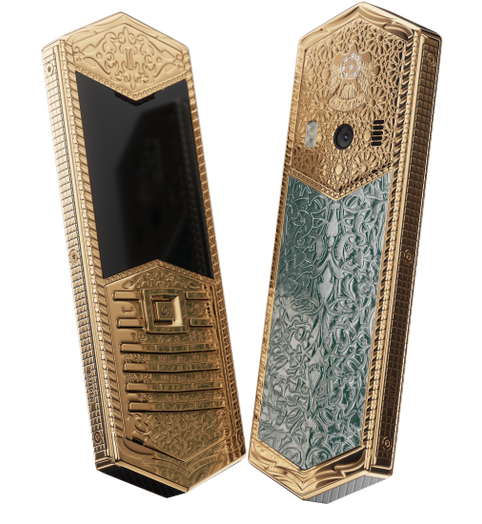 Everyone of those who continue the activity of Sheikh Zayed even today and devotes themselves to the great intentions, are worth finding inspiration and reminders of eternal values in the design of the exclusive phone made in form of a sword decorated with diamonds and patterns of extraordinary beauty. 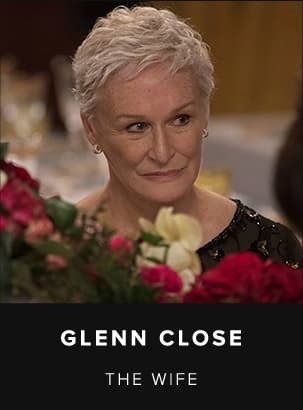 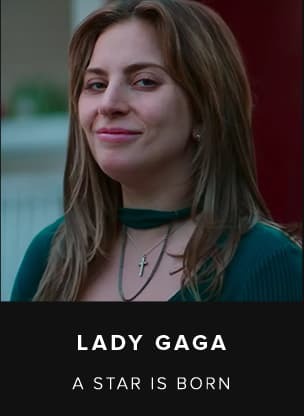 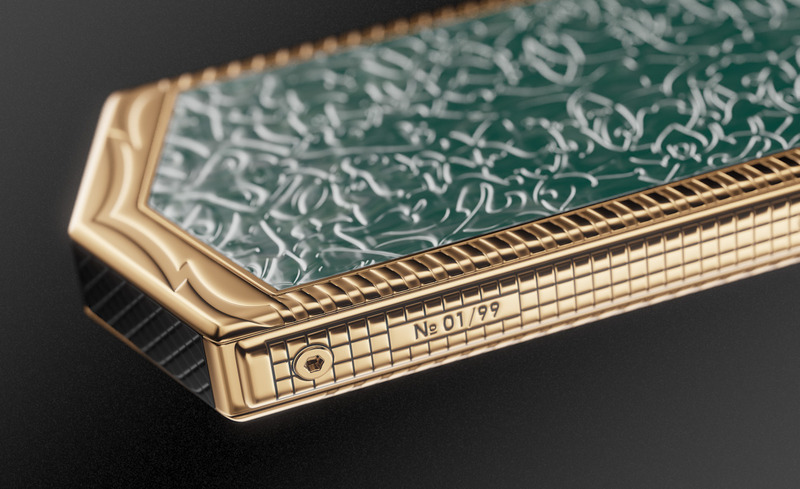 The expressive tandem of green color and gold, unusual shape and absolute feeling of majesty, nobility and force turn this accessory into a thing with a unique status. 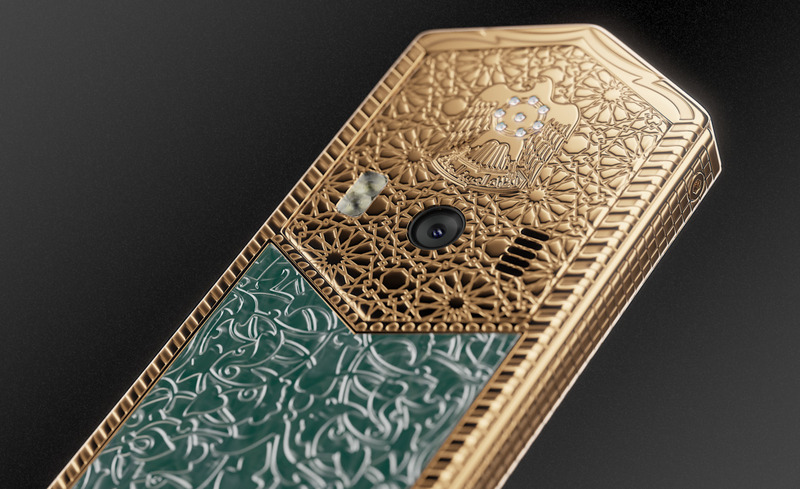 Being inspired by the great personality of Sheikh Zayed bin Sultan Al Nahyan, about whom even today people talk like about a person who “made a desert turn green”, admiring his achievements that were done for the benefit of his home country, his educational and charity activities, Caviar created a design of a unique Tsar Phone dedicated to the sheikh. 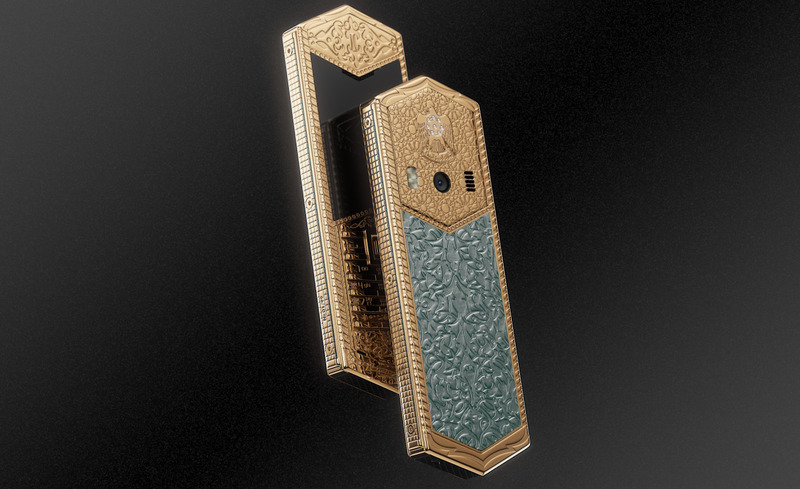 Everyone of those who continue the activity of Sheikh Zayed even today and devotes themselves to the great intentions, are worth finding inspiration and reminders of eternal values in the design of the exclusive phone made in form of a sword decorated with diamonds and patterns of extraordinary beauty. 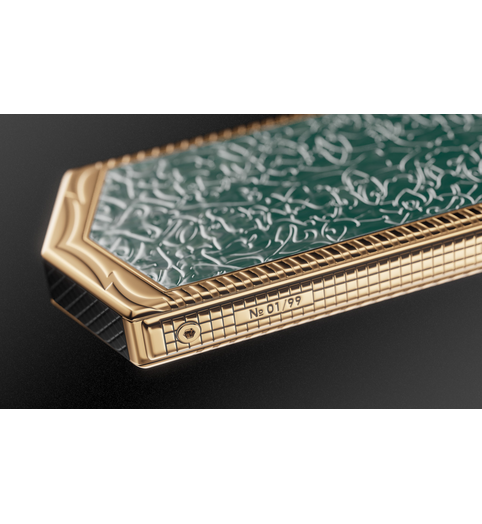 The expressive tandem of green color and gold, unusual shape and absolute feeling of majesty, nobility and force turn this accessory into a thing with a unique status. 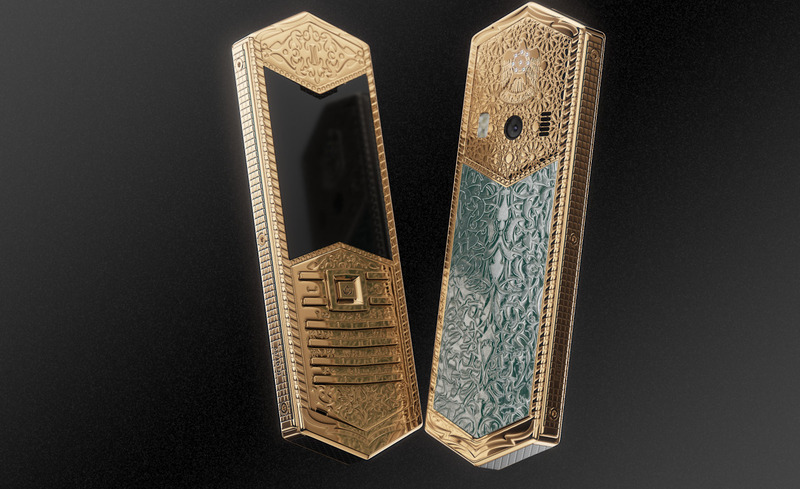 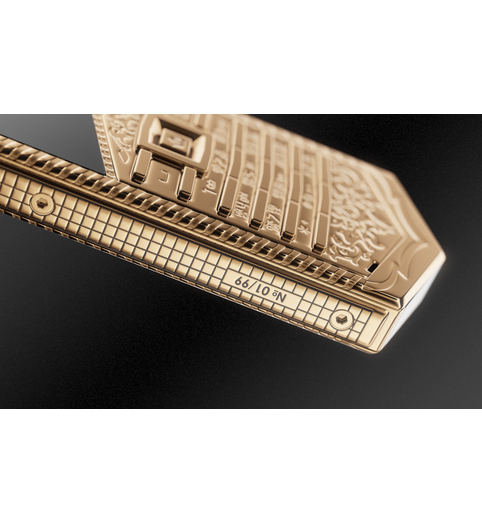 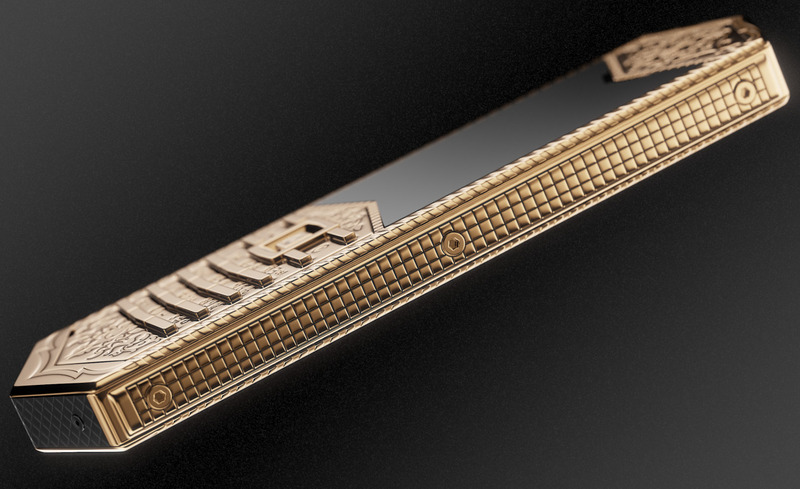 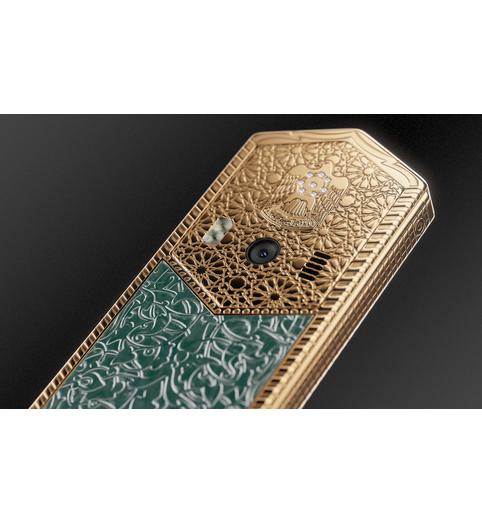 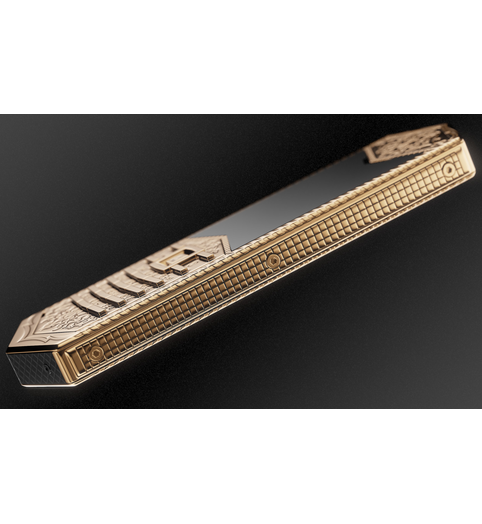 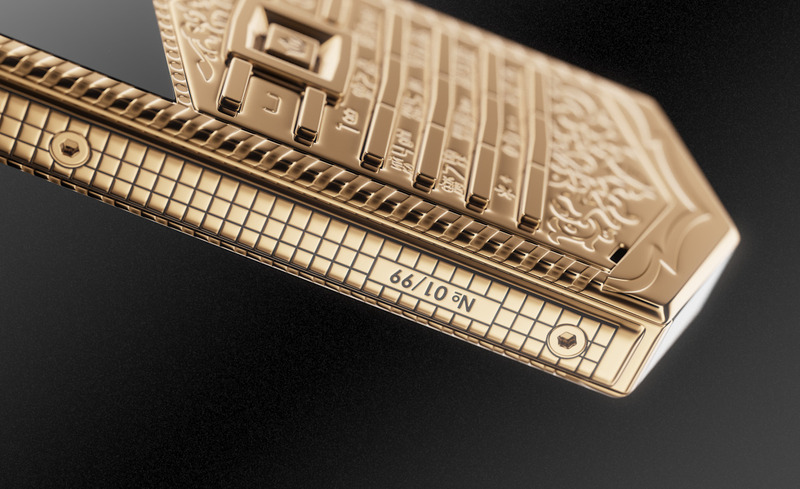 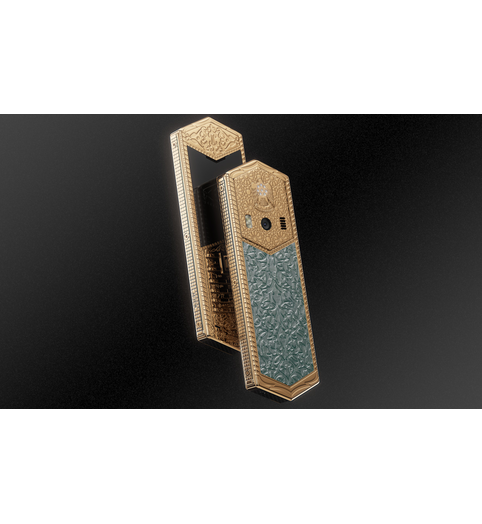 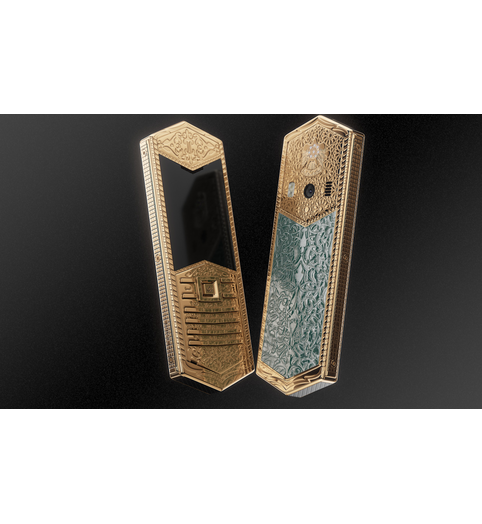 Green composite stone, engraving of traditional patterns in the Islamic culture, gold covering (according to the technology Double Electroplated (7 microns, 999 gold standard)), emblem of the UAE, insert with 8 diamonds.